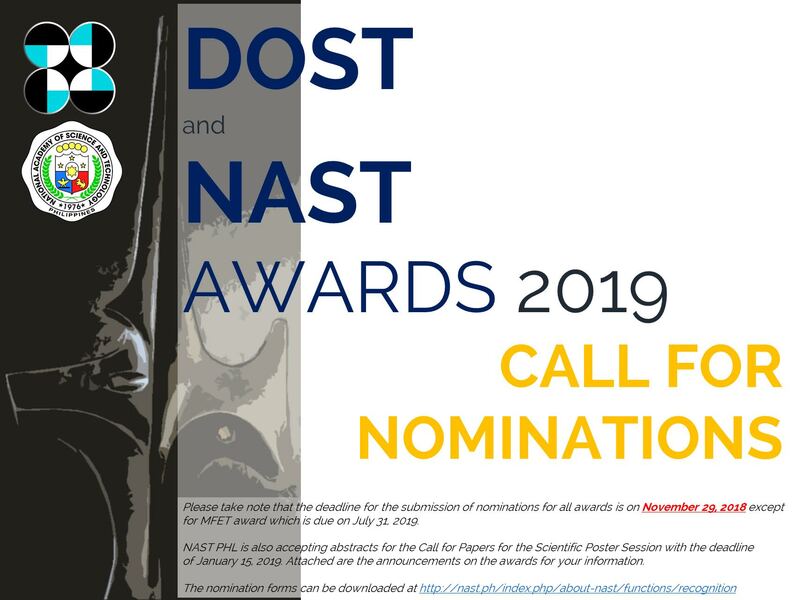 The deadline for the submission of nominations for all awards is 29 November 2018 except for the MFET award which is 31 July 2019. 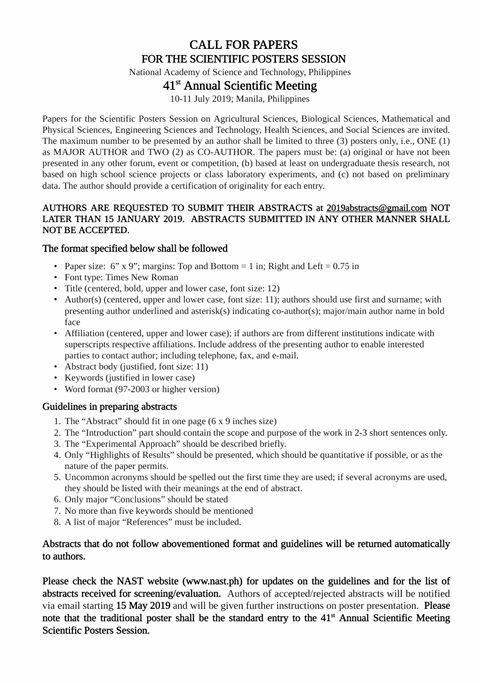 NAST PHL will also be accepting abstracts for the Call for Papers for the Scientific Poster Session until 15 January 2019. 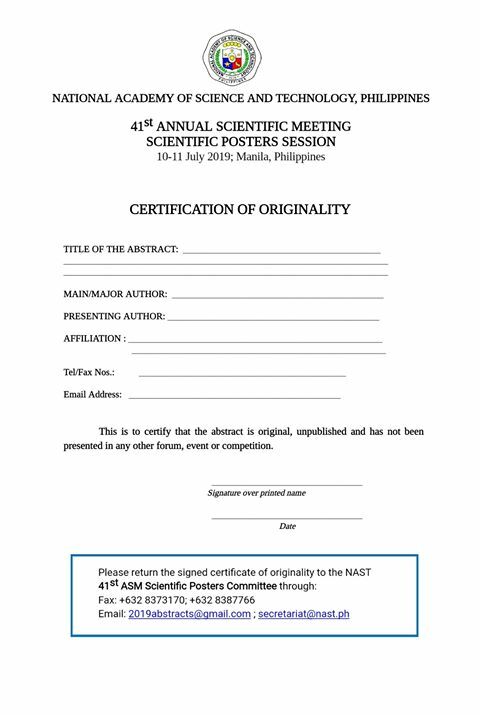 Download the certificate of originality here.